Cara Ray, an educational consultant out of Boulder, Colorado offers tips and suggestions for high school students as they prepare for their college interviews with alumni representatives during their college admissions process. Ms. Ray is a senior associate with Montgomery Educational Consulting. Students should be able to head into an alumni interview feeling confident and ready to make a personal connection. What’s the best way to prepare for an alumni college admissions interview? Cara Ray, an educational consultant based in Boulder, Colorado, answers this question and more with her recently published alumni interview tips. Alumni interviews are often set in a less formal and more conversational format than the traditional question and answer interview. However, there are still plenty of ways that students can prepare in advance to present themselves in the best possible way. Cara Ray and her Montgomery Educational Consulting colleagues bring first hand experience to the college admissions interview process. Mark Montgomery, President of Montgomery Educational Consulting, assisted Dartmouth College with interviews for many years and Ms. Ray has assisted Colgate University with interviews for prospective students. "Having been on the other side of the table, conducting these interviews, we have seen all different types of students. Those who are very strong in an interview setting - and come off well - and those who are clearly not prepared," he said. "Cara's tips are a great start to helping students understand what they need to do to make a positive impression in these meetings and be a successful applicant." Cara Ray is a Senior Associate with Montgomery Educational Consulting. 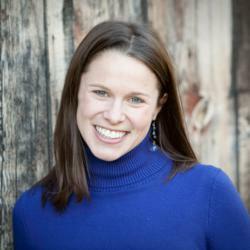 She previously worked in the admissions office at the University of Colorado Boulder. Ms. Ray holds a B.A. from Colgate University in Hamilton, NY and an MA in Higher Education from the University of Denver. She is a member of the National Association for College Admission Counseling(NACAC), Rocky Mountain Association for College Admission Counseling (RMACAC) and the Higher Education Consultants Association (HECA). From offices in Colorado and New Jersey, Montgomery Educational Consulting offers comprehensive, personalized educational counseling services to students locally, around the country, and around the world. These college admissions experts guide students every step of the way as they navigate the university search and application process. Then, they help students get admitted to the school that is right for them.